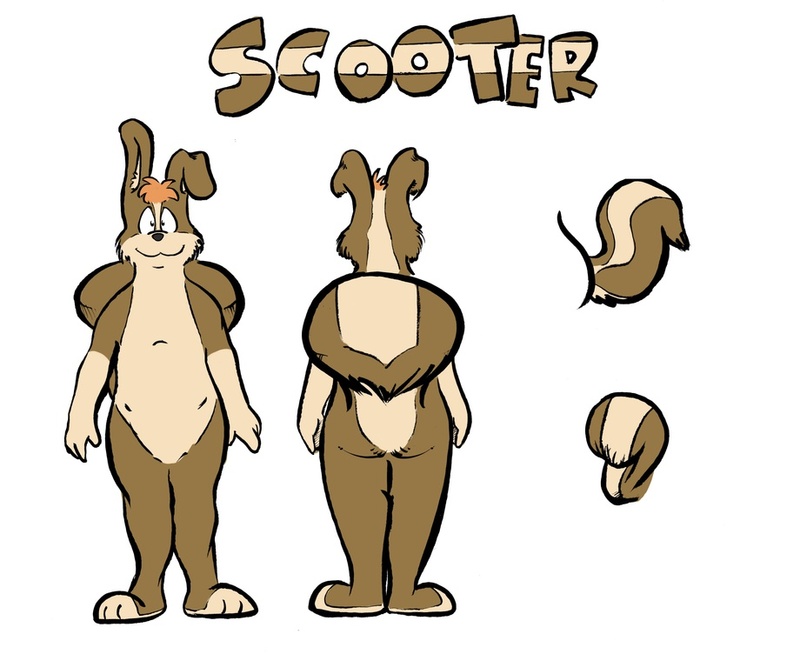 Scooter's fur patterns and markings are shown in the reference picture here. This is currently the most accurate representation of these markings. Lyle is usually very friendly, but sometimes has trouble opening up to new people. He prefers to be called by his nickname, "Scooter", and is normally only called "Lyle" by his parents and teachers. Despite his somewhat shy and reserved nature, he can sometimes be surprisingly insightful. Likes: Having fun with friends, meeting new people, exploring. Dislikes: Oceans / large pools, sweet potatoes. Lyle is the son of Stephanie (brown rabbit) and David (striped skunk). It is not currently known if he has any brothers/sisters. He tends to like overalls, and loves to wear just about anything that's green which is his favorite color. As a younger cub he had a very tenacious bedwetting problem, so he's usually diapered at night. Also, at any given time, he's almost guaranteed to have some sort of game or toy with a screen in his pocket. When it's bedtime, he feels much more at ease if he has Amanda, his favorite plush bunny, with him. He's a cool looking dude!